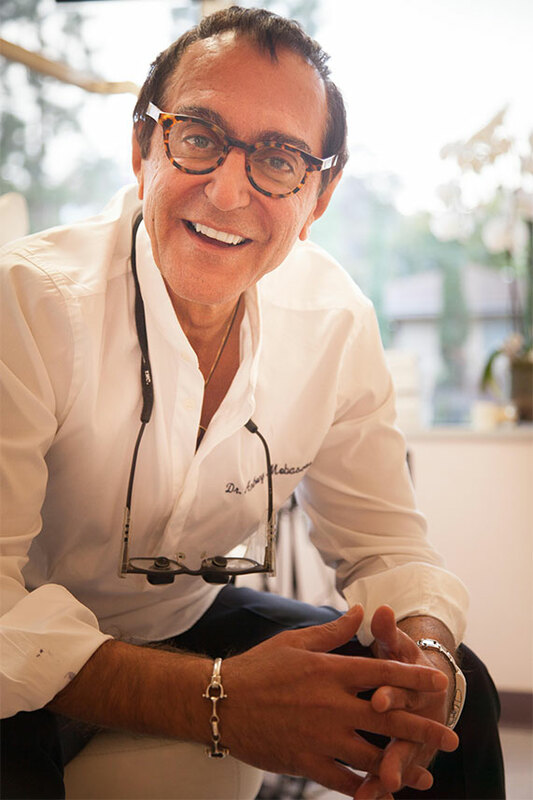 LOS ANGELES, Aug. 30, 2018 /PRNewswire/ -- Dr. Anthony Mobasser has been a mainstay in cosmetic dental surgeries in Beverly Hills and Hollywood circles for nearly four decades. For the third-straight year in 2018, Mobasser was listed in "Southern California's Top Dentists" as published in Los Angeles Magazine, adding to his long list of recognition and awards as a Los Angeles cosmetic dentist. In his office off the Sunset strip down the hill from the Beverly Hills Estates, Mobasser remembers the first days of his cosmetic dentistry practice dating back to 1980. "It wasn't always like this, you know, being called the 'celebrity dentist' and all," said Mobasser. "It kind of grew from something organic, like word of mouth of patients who were loving the way they looked after their procedure. They were looking good and feeling good decades after their visit. To many of them, it was like a new lease on life." As his reputation for artistic dental reconstruction and other cosmetic dental procedures spread, several big names appeared at the doorstep of Mobasser's office seeking the same aesthetic touch they had seen with many of their friends and associates. He is often referred to as "Celebrity Dentist," although he doesn't exclusively cater to the rich and famous. Tens of thousands of patients from greater Los Angeles and around the world have sought out the doctor for cosmetic and full mouth reconstructive dentistry in Los Angeles. Mobasser said he likes to treat each patient uniquely, as there is no "one-size-fits-all" approach. Porcelain veneers are another form of cosmetic dentistry that Mobasser specifically excels in. "Minimum intervention is the best, with maximum cosmetic dentistry, while salvaging precious tooth structure," said Mobasser. For more information on Dr. Anthony Mobasser's Celebrity Dentist office, please call (310) 550-0383.